The Classroom in the Field Project is designed to teach students at all grade levels about biodiversity, ecology, symbiosis, plant physiology and other environmental topics. 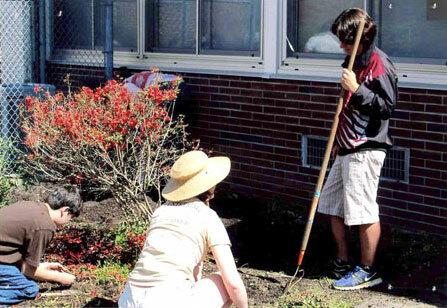 In Phase 1, students cultivate a naturalized meadow in the interior space of the High School. The New Paltz Classroom in the Field is inspired by the High Line park in NYC. The naturalized meadow includes native species of perennials and grasses chosen for their hardiness, adaptability, seasonal variation, and attractiveness to wildlife.